Apple has been understandably tight-lipped about the iPhone 5 in the months leading up to its release, which is scheduled for September in the UK. With new smartphones from competing manufacturers appearing on the market every week, the Californian tech giant has been at pains to keep its rivals from second-guessing the likely spec of the fifth generation of its flagship mobile handset. 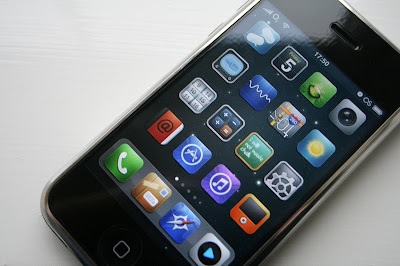 However, the huge demand for iPhone 5 information across the Internet has led to a scourge of rumours, alleged product leaks and hints from Apple about how the iPhone 5 will better its predecessor, which sold an impressive 1.7-million units in just three days following its release on June 7, 2010. The iPhone 4’s slogan was “This changes everything. Again.” So where does the iPhone 5 go from there? “This changes everything. Again. But differently this time.” – hardly the catchiest of slogans, is it? There are a number of issues that Apple will be looking to address with the launch of the iPhone 5. While the iPhone 4 has sold extremely well in the last 11 months, it has not been without its problems, most notably the bezel antenna that led to calls being dropped whenever a stray finger broke its connection. Apple offered a temporary fix for this problem by handing out free bumpers to all iPhone 4 users, but a similar glitch in the iPhone 5 would be seen as a major faux pas by even the most ardent Apple fans. To avoid this, Apple is expected to do away with the iPhone’s glass back and replace it with a metal rear casing that will double up as a powerful antenna. The release of the iPad 2 in April gave some clues as to the likely processing power to be rolled out with the iPhone 5. The new tablet device is powered by the A5 chip, giving it dual-core power and making the user experience wonderfully slick. Apple is expected to include the iOS 4.3 operating software of the iPad 2 in with its new smartphone too. Other areas expected to see an improvement on the iPhone 4 include battery life, weight and size, with the new device set to run for longer on a single charge and cut a more slender, light presence in the hand of the user. However, it will take more than a few cosmetic modifications, ironed out creases and an improvement in processing power to persuade iPhone 4 users to ditch their year-old handsets and make a move for the iPhone 5. Here’s to hoping Apple has a few surprises up its sleeve for September.